The Grand Rapids City Commission is scheduled to vote on whether to approve plans for a new veterans' home. The city’s planning commission voted to approve the $49 million home for military veterans last week. The current home houses about 260 people, but the new one would only house around 130 vets. Daniel Waun, a spokesman at the Michigan Veterans Affairs Agency, says no one would be forced to move out of the old building. 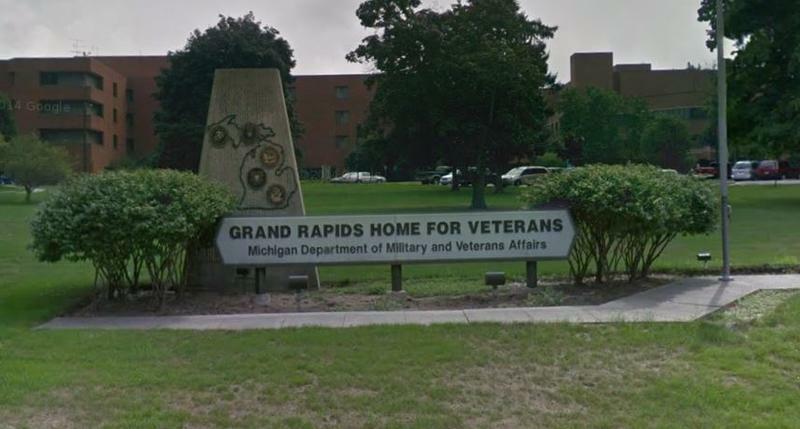 A report by the Michigan Auditor General says patient care at the problem-plagued Grand Rapids Home for Veterans has improved. A 2016 audit of the nursing home revealed falsified records, employees skipping room checks, and other issues. 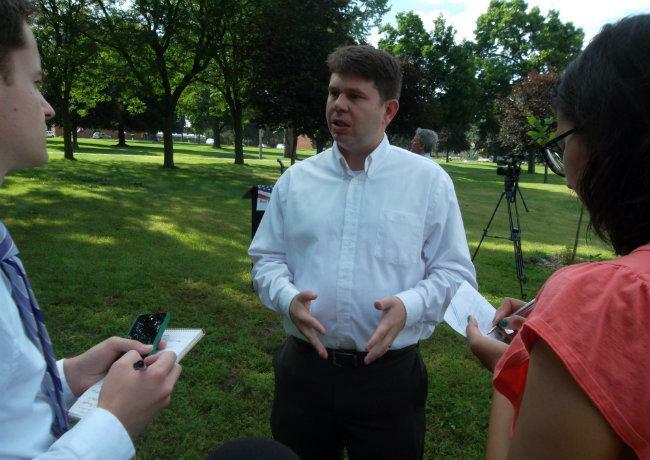 Democratic lawmakers in Lansing say the Attorney General is doing too little, too late. The Attorney General announced criminal charges against workers at the state-run Grand Rapids Home for Veterans. Schuette’s investigation of the veteran’s home started in May of 2016. This was after a scathing audit of the home revealed that workers falsified records, skipped room checks, and other issues. But Representatives Winnie Brinks, D-Grand Rapids, and Tim Greimel, D-Auburn Hills, said they sounded the alarm as early as 2013. Eleven former caregivers face felony charges of falsifying records related to the neglect of patients at the Grand Rapids Home for Veterans. Michigan Attorney General Bill Schuette says they made false entries in logs to reflect patient checks that never happened. “And that violates their security and safety, and people were not doing the required checks, but the video surveillance caught that,” he said. The Attorney General’s Health Care Fraud Division spent 13 months on the investigation. The state will pay out $825,000 to settle a lawsuit over the death of a resident at the Grand Rapids Home for Veterans. The death happened more than five years ago. Andrew Ball suffered from dementia, and he often would wander at night. One night, in April of 2012, he wandered into the room of another resident, and that resident, who also suffered from dementia, beat him. Ball died from his wounds. Governor Rick Snyder is expected to make a decision soon on changes to Michigan’s veterans’ homes. Before the end of session, the Legislature sent him a package of bills that would create a new Veterans Authority. It could create more veterans homes in the state – currently there are only two. The authority would be run by a board and they would be required to give annual reports to the governor and Legislature. Bill sponsor Sen. Dave Hildenbrand, R-Lowell, said the legislation creates a modern authority with people who understand healthcare. 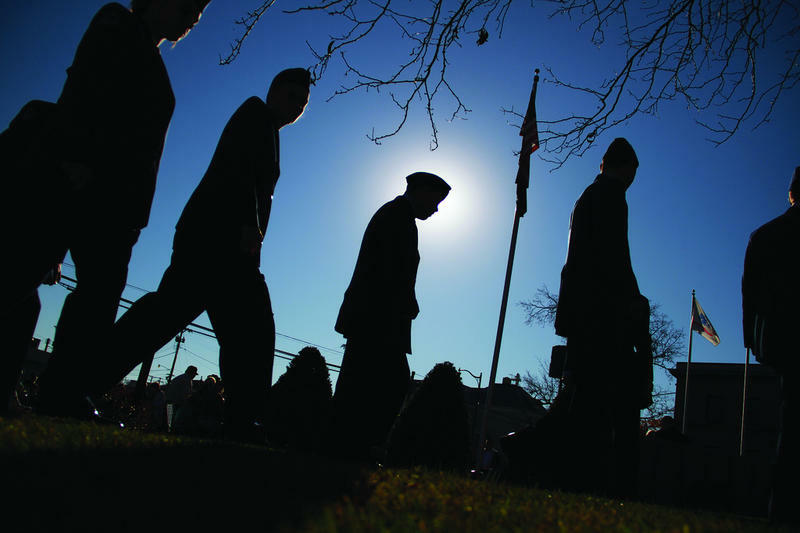 Changes could be in store for Michigan’s veterans’ services. A House and Senate joint committee heard testimony Monday about a package of bills that would create a new Michigan Veterans’ Facility Authority. The Authority would oversee new veteran facilities, and eventually, lawmakers hope, the entire Michigan Veteran Health System would go under the umbrella of the authority. The legislation comes after an audit of the Grand Rapids Home for Veterans last February revealed persistent issues like staffing shortages and not following through on abuse complaints. A veteran’s home in Marquette says it’s already fixed problems found by the state Auditor General. After a four-month review, the auditor raised concerns about the D.J. Jacobetti Home for Veterans’ control over medications and its background checks of volunteers. Officials with the home say they’d started fixing the issues before the auditors visited, and the issues had to be raised because they were previously not in compliance. A joint state House committee could begin hearings as soon as this week on a scathing audit of a state-run veterans’ home. Among other things, the report found the Grand Rapids facility was understaffed, and that workers mishandled abuse and neglect complaints and failed to conduct required safety checks. Governor Rick Snyder has replaced the director of Michigan's veterans’ affairs agency after an audit uncovered problems at a state-run nursing home for veterans. Jeff Barnes, who led the agency for three years, resigned Friday. State officials said Barnes didn’t want to be a distraction as efforts were made to resolve the issues. Barnes, a former Army officer, previously was the governor's deputy chief of staff and his former campaign manager. Michigan owes severance pay to eligible nursing aides who were laid off from a state-run home for veterans. The Grand Rapids Home for Veterans is one of two state-run long-term care facilities for veterans in Michigan. More than 400 veterans are housed there. 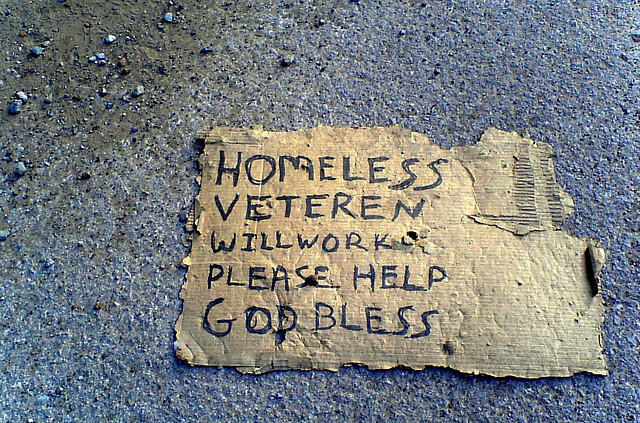 This Veterans Day, Michigan has the dubious distinction of having its military veterans among those receiving the least government benefits of any in the 50 states. Michigan’s more than 650 thousand veterans get about $3,400 on average in benefits compared with a national average of nearly five thousand dollars a year. The home’s administrator Sara Dunne says the U.S. Department of Veteran’s Affairs just completed an annual inspection of the home in April. “They will not leave the homes if they feel there’s sub-standard being provided,” Dunne said. Veterans' homes in Michigan could see an increase of about $1.7 million in next year's state budget. Jeff Barnes is the director of the Michigan Veterans Affairs agency. "The state is currently ill equipped to deal with some of the metal health challenges that some of our veterans face," Barnes said. "This is an investment that we feel is good for the members of the homes but it is also starts to helps us deal with some of the future care concerns that we have." The extra funds could also help "increase the number of skilled nursing that we have to also address some of the issues we have with mental health and psychiatric care in the homes and then put some additional controls in place to make sure we are doing our do diligence with pharmaceutical controls" says Barnes. The budget is expected to see a vote in the legislature in the coming weeks. Michigan's new Veterans Affairs Agency director says the state needs to do a better job connecting its nearly 700,000 veterans to services. This week nearly 150 nursing assistants are getting laid off at a state-run home for veterans. 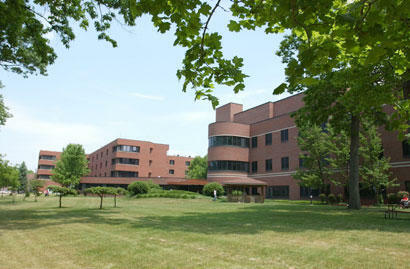 The Grand Rapids Home for Veterans is one of two state-run hospitals for veterans in Michigan. More than 700 veterans are housed there. “It’s a continuation of a process that we started back in October 2011,” said Suzanne Thelen, Public Information Officer for Michigan’s Department of Military and Veterans Affairs. Governor Rick Snyder’s plan to save money by privatizing nursing assistants at a state-run home for veterans is legal. The state’s Court of Appeals issued the decision Friday. 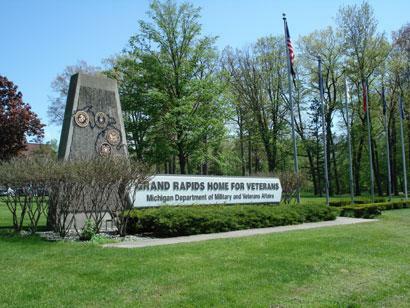 The Grand Rapids Home for Veterans is one of two state-run hospitals for vets in Michigan. More than 700 are housed there. Governor Rick Snyder privatized about 170 nursing assistants at the home last year to save around $4 million.